I firmly believe that we, in the gun-owning and shooting community, have the “moral high ground” on the issue of reasonable national responses to terrorism, and our solutions don’t endanger anyone’s constitutional rights either. However, we rarely hear about our position in the press, and we virtually never loudly advocate for our position (with the exception of the, apparently now moribund, concealed carry reciprocity bill in Congress). Why not? I believe we need to get much more pro-active and start driving the debate rather than simply reacting to ignorant, and often unconstitutional, liberal gun-control proposals. If our congress feels the need to do something in the wake of the recent Orlando terrorist attack, that’s fine, laudable even. But why haven’t we seen any proposals from our conservative Representatives and Senators for doing things like pushing forward the concealed carry reciprocity bill, subsidizing tactical training and/or gun purchases for those who agree to carry their guns in public, or doing away with laws allowing “Gun Free Zones?” The issue of helping those who want to carry in public (in those places where the terrorists will inevitably strike) can be addressed in several ways. First, encourage the passage of concealed carry reciprocity legislation to allow reciprocal recognition of existing concealed carry licenses across state lines. Second, propose and pass new legislation banning the existence of “Gun Free Zones,” except in very rare places like courtrooms, jails, etc. The idea that private property rights can be used to permit banning the carry of guns in places of business, by lawfully armed citizens, is just plain ridiculous. If a business offers services or products to the public, then they should offer them to ALL of the public, and this is already required of them by laws prohibiting them from denying service to minority groups (those that have been specifically designated as “protected classes” of people, like racial and ethnic minorities, Gays, Women, Handicapped people, etc.). That’s insane, and probably even unconstitutional. After all, aren’t all citizens are supposed to be equal under the law? So what about those of us who choose to exercise our 2nd Amendment right to go armed? Why do we have less rights than someone who is black or gay? As for the subsidizing of civilian procurement of guns and training, it is hardly a novel or unreasonable idea in our country. It is, in fact, the goal of the federal government’s Civilian Marksmanship Program (CMP) which was started many decades ago, and is intended to improve civilian shooting skills to make us better prepared, as a country, for combat. The CMP currently holds some competitions, and sells surplus military guns (when Obama doesn’t disallow it) to civilian shooters. Simply expanding its training programs (and funding) could make it a vital tool for providing affordable, specifically tailored, civilian anti-terrorism training, as well as helping ordinary citizens purchase guns for civilian carry in public. It would be fairly easy to create a specific course aimed at providing that kind of training, and to incorporate state concealed carry license training within it. Why hasn’t that been proposed, instead of the meaningless, “feel good” anti-gun proposals we keep hearing about? If you bring up any of these ideas in a public forum, you will find that virtually no one has ever heard of, much less considered, them yet. These ideas are often discounted without any consideration at all, and you will find that no one outside of the shooting community has ever even heard of the CMP or its mission. All the discussion is about stupid anti-gun proposals that only sound reasonable if you have never heard our side of the story. 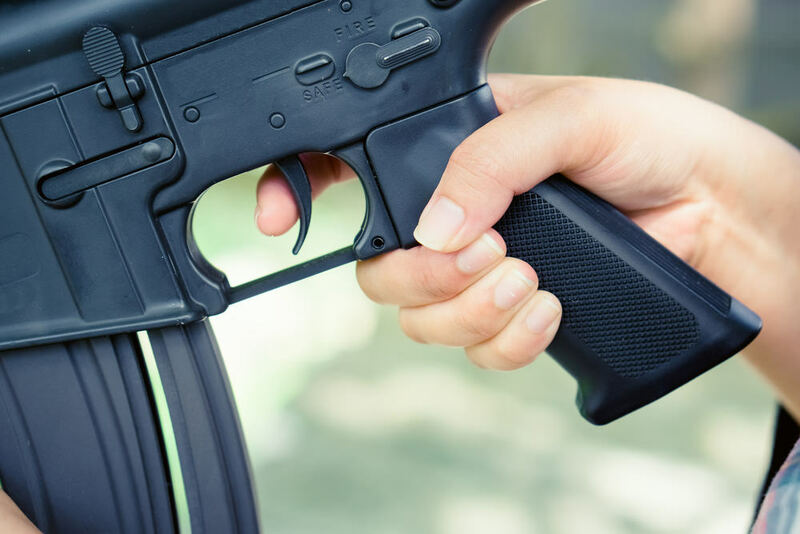 All our discussion seems to be in reaction to anti-gun proposals, and we simply point out why they won’t work without giving a better alternative. But we have better alternatives, they simply never get proposed or discussed in the public forum. Why not? Good question, to which there is no good answer. But, if we want to change things and start getting a fair hearing for ideas that might actually help deter terrorism, and without giving up anyone’s constitutional rights in the process, then we need to get much more pro-active and start forcing the anti-gun crowd to react to our proposals for a change! Thank Heavens for the Bill of RightsA Kindergarten Graduation...For Terrorist's.